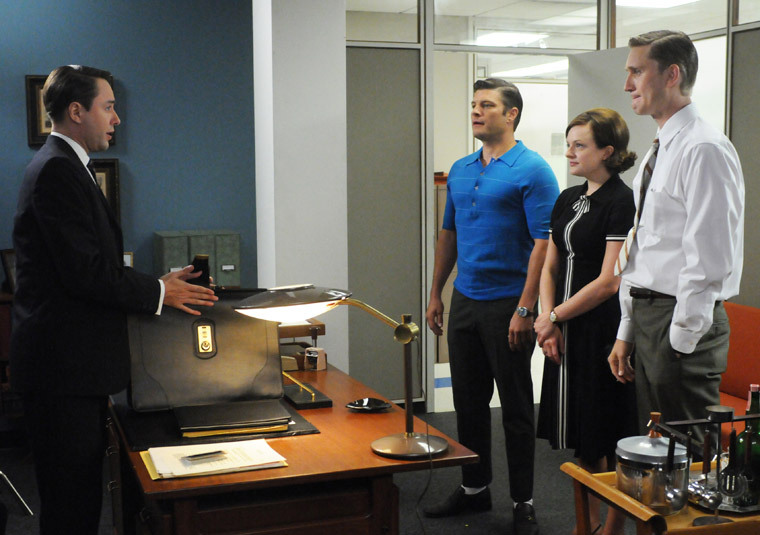 ‘Mad Men’ Season 5 Premiering Tonight. Here’s What you need to know. The year and a half wait is finally over tonight. 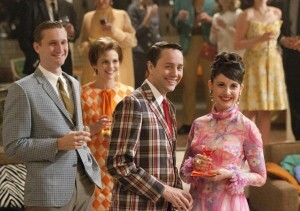 The season 5 premiere of ‘Mad Men‘ airs tonight at 8pm central on AMC. According to Jon Hamm (Don Draper), this season and opener will be full of surprises. Actually he said, “There will be some significant surprises.” I’m very excited and giddy t see what the two hour premiere will bring us tonight. Where did we leave off on season 4? Well Don had just proposed to his 20 something secretary Megan, and it looked like Don was finally happy up until the very end of the last episode. Will he still be with her? Will he go back to his old ways of having affairs with almost anyone? 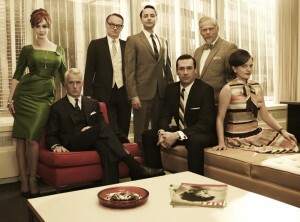 Joan was very pregnant with Roger Sterling’s baby while her husband was overseas in a war. Her husband thinks the baby is his. Also, Joan got a big promotion at the company but with no pay raise. At the newly formed advertising agency, Sterling, Cooper, Draper, Price; their biggest account of Lucky Strike cigarettes dumped them and leaving the firm in shambles and almost penniless. Don writes an article for the newspaper on why he’s quitting smoking and how bad they are for you. In return, they get a call from the anti smoking agency to do ads. Will this sustain them for the future? 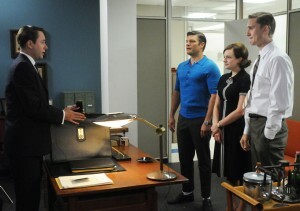 Will Don’s ex-wife Betty, give Don and Megan trouble with custody of the children? So many questions that I hope will be answered tonight. Stay tuned right here for trivia for prizes in the comment section. Now enjoy your old fashion and meat loaf, and get ready for one hell of a premiere. AMC Gives Us A Sneak Peek at the Final Episodes of ‘Mad Men’!! This entry was posted on Sunday, March 25th, 2012 at 10:09 am	and is filed under News, Television. You can follow any responses to this entry through the RSS 2.0 feed. You can skip to the end and leave a response. Pinging is currently not allowed. I think Don Draper will have an affair in this first episode. « Jack White Talks ‘White Stripes’!! !